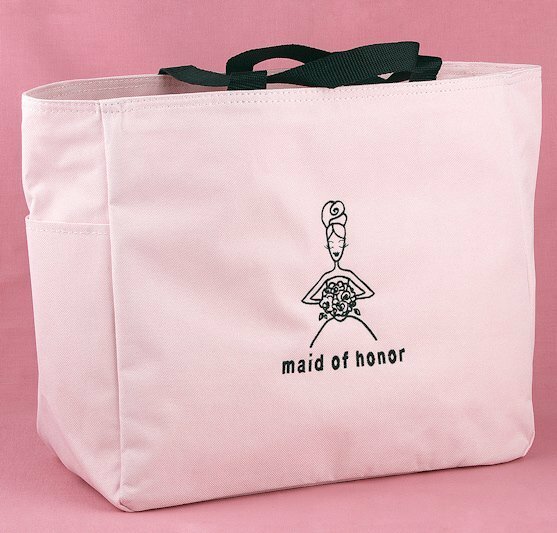 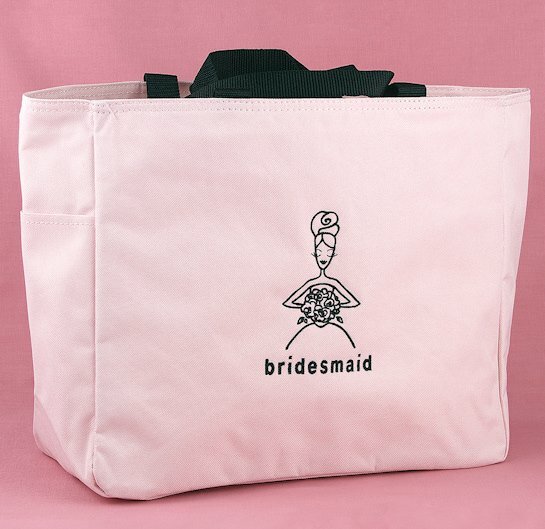 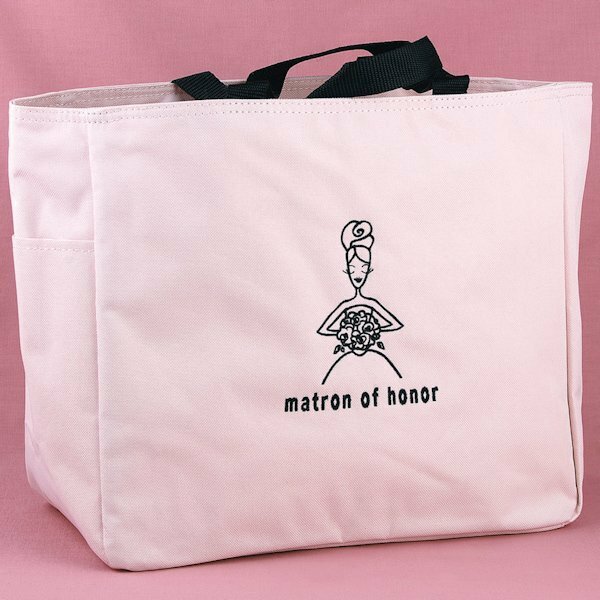 Featuring a beautiful young lady holding a floral bouquet, these pretty pink polyester bridal party tote bags have inside and outside pockets, sturdy black handles and an embroidered design on the front. 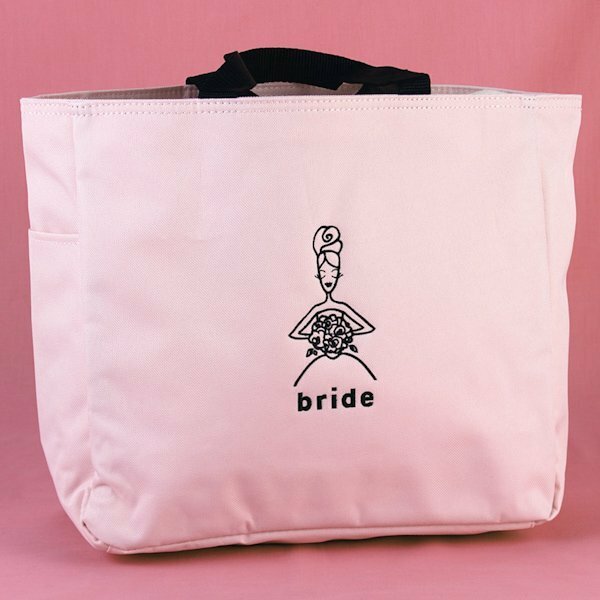 The tote bag measures 12" by 6 1/2" by 14" overall and is perfect for storing all of your wedding day essentials! 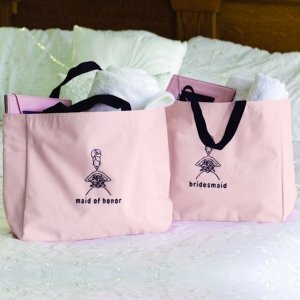 We have designs for each member of your bridal party (bridesmaid, maid of honor, matron of honor and bride) so you and the girls can enjoy matching pieces.